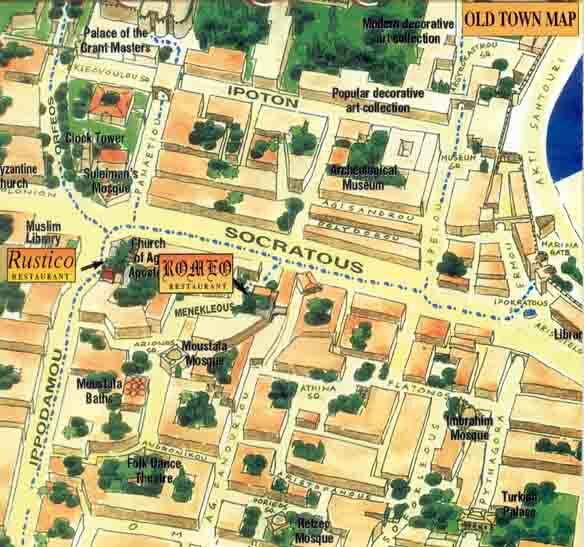 Address : 3-5, Ippodamou str. 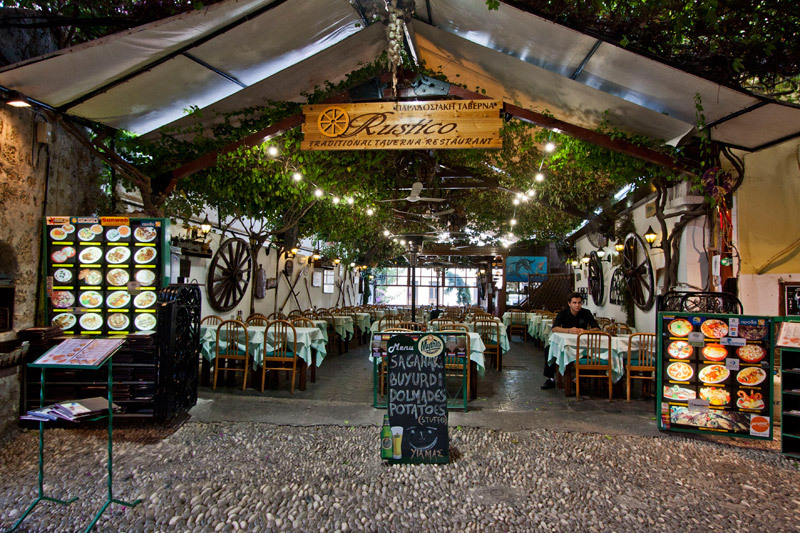 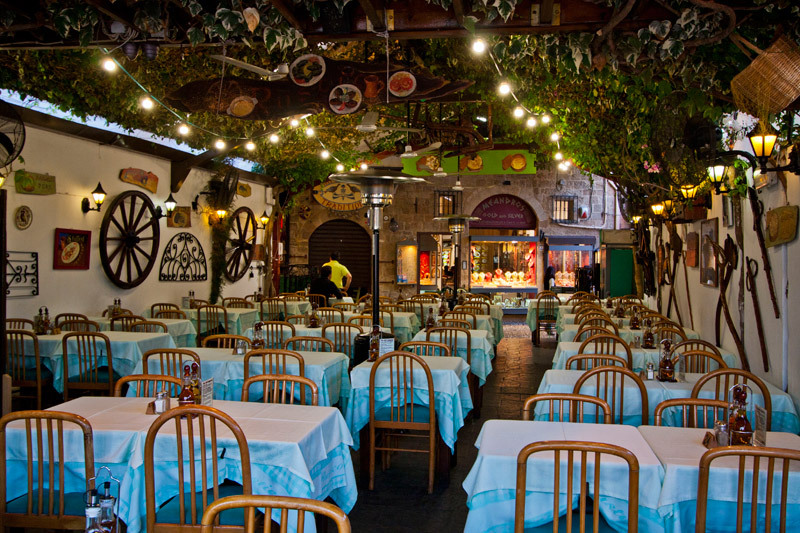 In the heart of the Old Town, on a stone street, in between noble houses, one of the best Greek taverns which you can enjoy on your visit to the Old Town of Rhodes Rustico has a harmonic blend with medieval times and modern Greece. 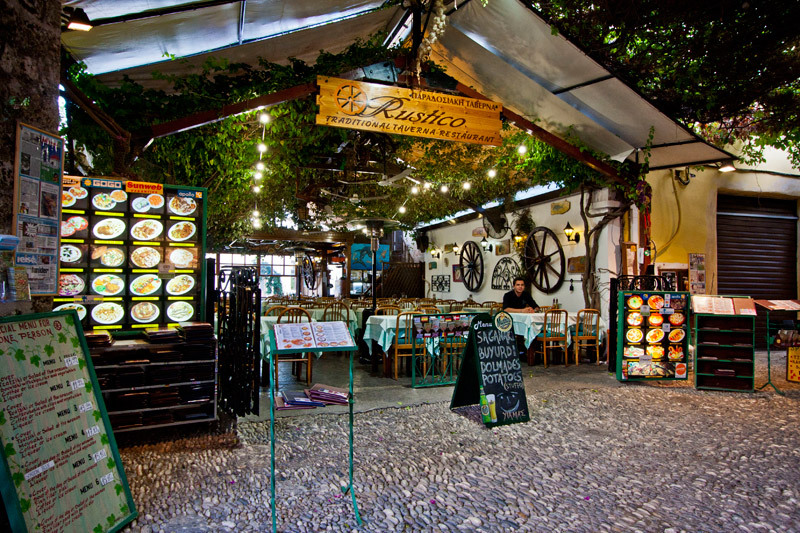 It maintains all the elements which makes Rustico one of its kind. 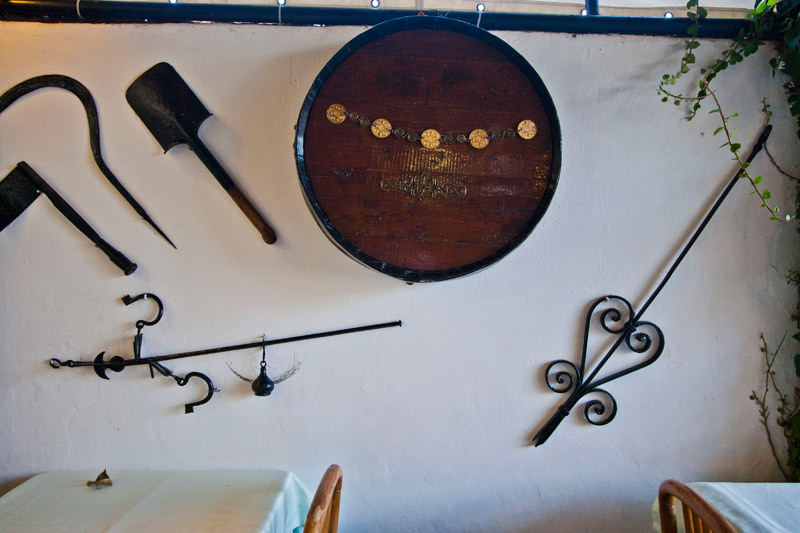 With lush greenery overhead, walls covered with rustic farmer's hand tools and handmade pottery throughout, what more could you ask for? 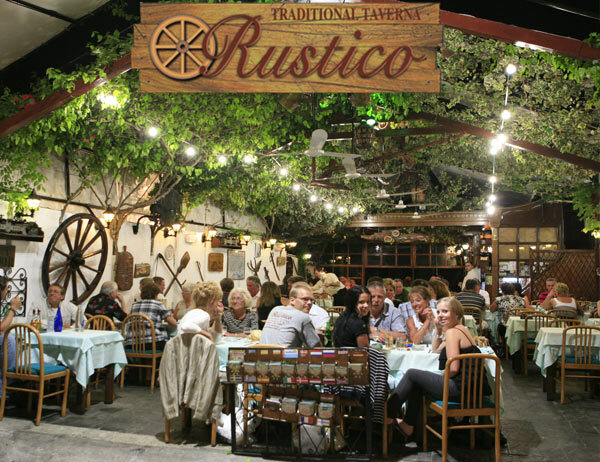 RUSTICO is a traditional restaurant which offers a rich variety of delicious dishes and a refined experience for every taste and desire. 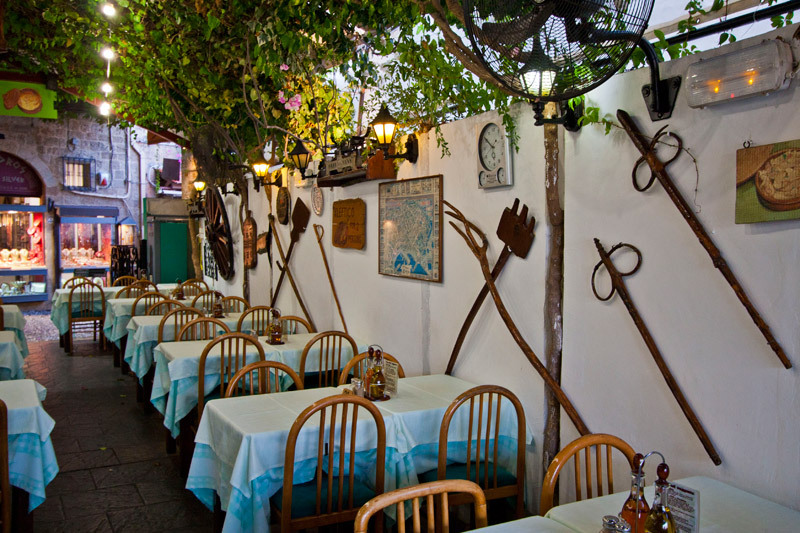 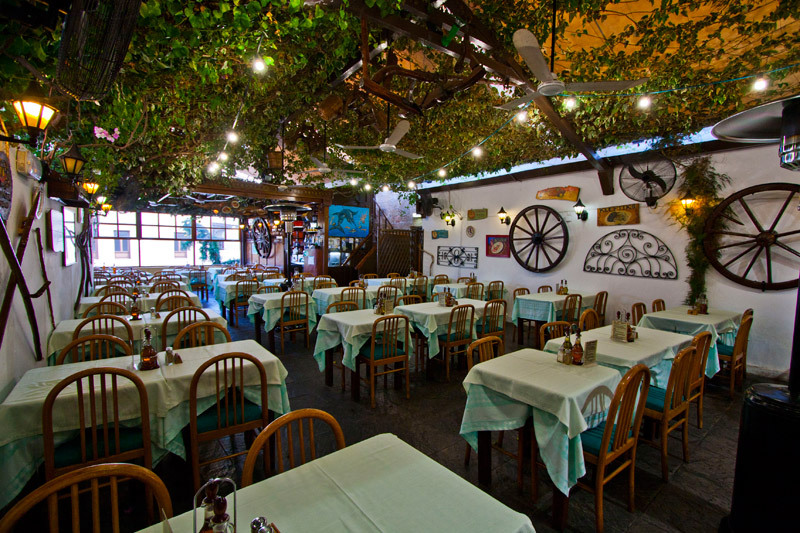 Our excellent service and the beautiful atmosphere, in our lovely lushious garden and our hospitality guarantees a superb lunch and dinner in a distinguished atmosphere. 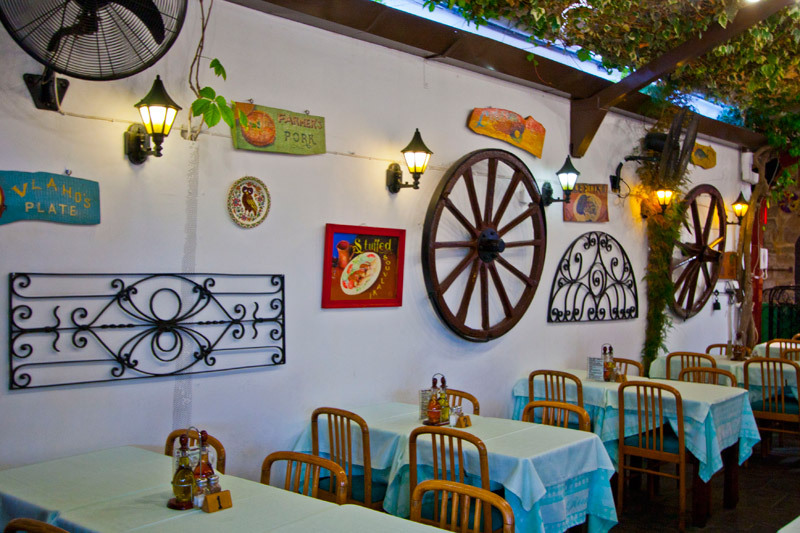 KLEFTIKO: A traditional Greek recipe with lamb and vegetables cooked in a wine sauce. 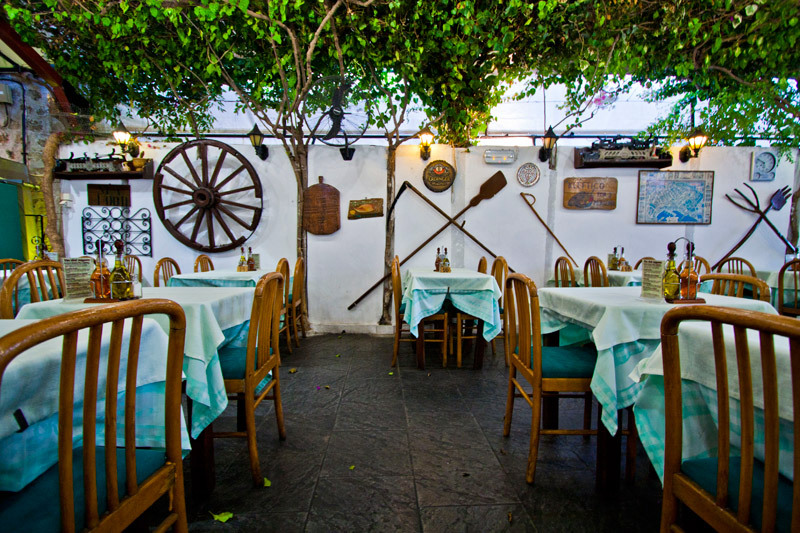 Also STAMNA, BEKRI MEZE, FARMER PORK, KING PRAWNS A LA GREKA, T-BONES STEAKS, CHATEAUBRIAND and PRIME FILLET STEAKS, plain or with various sauces Be sure to inquire about our "from the sea to your plate" inexpencive specialities. 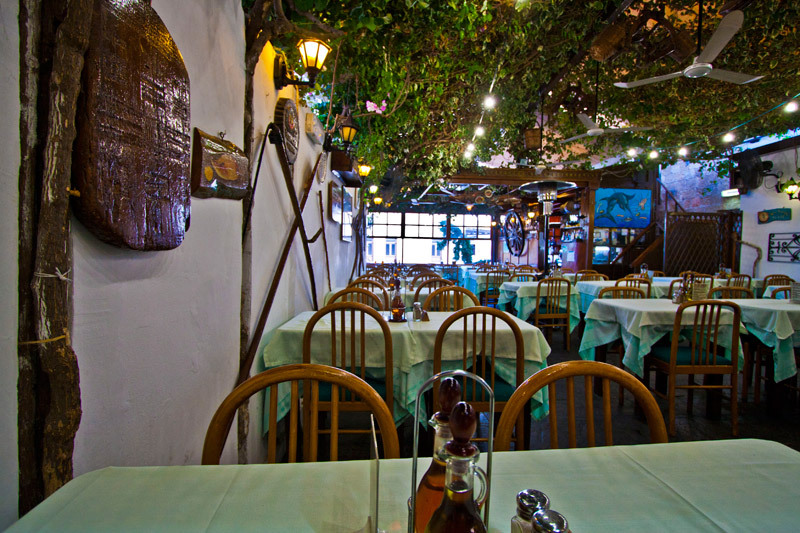 You may even be lucky to see the local fisher-man deliver the fresh catch of the day.